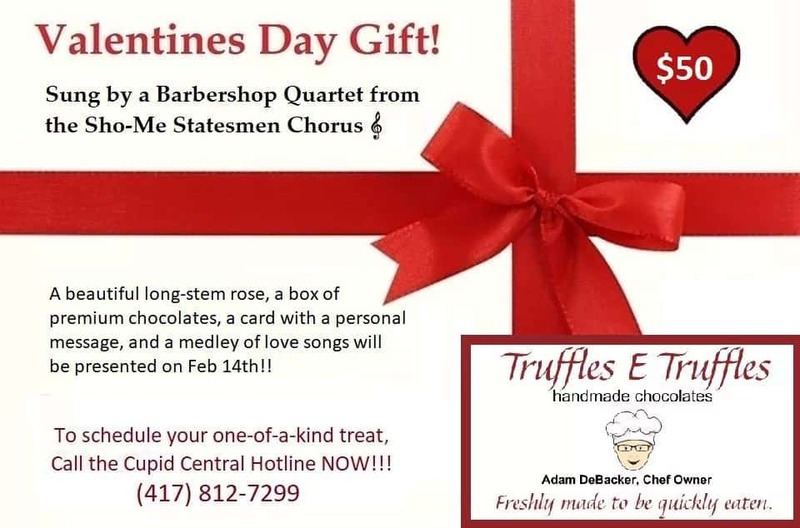 Send a Valentine gram sung by a Barbershop Quartet from the Sho-Me Statesmen Chorus! This valentine’s package also comes with a beautiful long stem rose, premium chocolates, a card with a personal message, and a medley of love songs sang by the Sho-me Statesmen! The gram will be presented on February 14th! To schedule your one-of-a-kind treat, Call the Cupid Central Hotline NOW!! !